Freedom of Information requests are a vital component of any functioning democracy. The ability for citizens to request documents from their government helps keep everyone honest and open, and gives voters the ability to make the best decisions possible. However, this important component of our society often gets mired in mountains of paperwork and procedure that can be a nightmare to untangle. 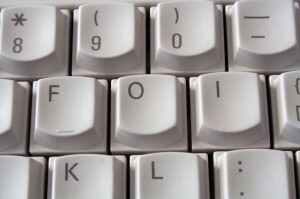 FOI requests frequently ask for information from multiple departments; FOI administrators often have little to no oversight as to where the request is in the process or who has completed what parts of the request. That’s why a government agency in Canada turned to Crow Canyon. Crow Canyon’s request tracking software for SharePoint was easily configured to meet the demands of an agency with hundreds of FOI requests per month. The agency can now track each request with ease. FOI personnel can quickly see who has requested information, which requests are outstanding, and who is assigned to each request. Even better, the agency can now meet government regulations on handling and tracking of FOI requests. With Crow Canyon’s ability to connect SharePoint data to Crystal Reports, the agency never missed a beat with their reporting capabilities. They were able to use a familiar reporting interface, as well as use report queries they had already built over time. Crow Canyon streamlined the agency’s entire process and provided comprehensive oversight and reporting capabilities so that each and every FOI request is tracked, managed, and recorded with ease.